"Let me congratulate you on your excellent study of Sigiriya, which I consider as a scholarly treatise of a very high order. You have adduced adequate evidence to substantiate your thesis. It is of value not only to the scholar but also to the general reader." Verily this work of de Silva has dispelled doubts and vague conjectures on Sigiriya, and built up a coherent and cogent interpretation of this great centre, which never was "the abode of a God King", but for a long and significant period the resting place of a great and noble protectress of humans and a Mother of all. 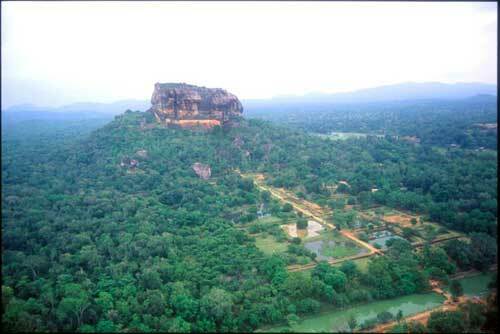 Every Archaeological Commissioner since Bell (1896) has believed that Sigiriya was a palace or fortress built by Kassapa. To challenge this view needs courage of a high order. The theory that Raja de Silva propounds (that Sigiriya was never a palace or fortress built by Kassapa but a Mahayanist monastery in which he took refuge and later supported) is revolutionary, and required the type of courage that emboldened Copernicus and Kepler to challenge the view that the sun revolved round the earth. It is a remarkable example of creative scholarship - in proposing a radically new theory on the significance of Sigiriya. It appears to me that his interpretation — that Sigiriya was essentially a Mahayana monastery — accommodates, more comfortably, the ‘facts' of Sigiriya. As impressively, he has brought to bear on the derivation of theories in the arts and the humanities — in this instance, the significance of Sigiriya, the basic approaches of modern science. 152 pages, size 11 1/2 ins. x 8 1/2 ins. Printed by Aitken Spence Printing (Pvt) Ltd., on 150 gsm art paper profusely illustrated in colour and duo-tone photographs and line drawings. Hard cover with laminated dust jacket printed in four colours.